Hey, everyone! AMS here with something massive for you! Here is Hayao Miyazaki’s solo directorial debut that was an unaired pilot from 1972, Yuki’s Sun. It is a short, approximately 5 minute long pilot for an anime adaptation of Chiba Tetsuya’s manga of the same name. It played in Aeon Theaters last year in Japan (screening with The Wind Rises from December 26 to January 13) and was recently added as the first bonus disc in the recently released The Collected Works of Hayao Miyazaki blu-ray collection. 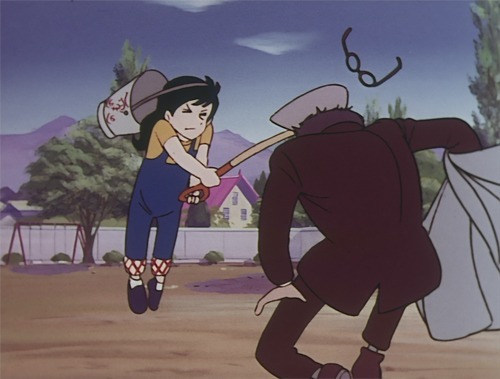 If you consider yourself a serious anime fan, then you obviously know of Hayao Miyazaki and know you have to see this. Enjoy!